4150301 D20-5 KOMATSU D20-5 Buldozer "D-20" series. Spare Parts Catalog. Service (workshop) Manual. Operator's Instruction Manual. 4150302 D20-7 KOMATSU D20-7 Buldozer "D-20" series. Spare Parts Catalog. Service (workshop) Manual. Operator's Instruction Manual. 4150303 D20-7A KOMATSU D20-7A Buldozer "D-20" series. Spare Parts Catalog. Service (workshop) Manual. Operator's Instruction Manual. 4150304 D20A-2 KOMATSU D20A-2 Buldozer "D-20" series. Spare Parts Catalog. Service (workshop) Manual. Operator's Instruction Manual. 4150305 D20A-3 KOMATSU D20A-3 Buldozer "D-20" series. Spare Parts Catalog. Service (workshop) Manual. Operator's Instruction Manual. 4150306 D20A-5 KOMATSU D20A-5 Buldozer "D-20" series. Spare Parts Catalog. Service (workshop) Manual. Operator's Instruction Manual. 4150307 D20A-6 KOMATSU D20A-6 Buldozer "D-20" series. Spare Parts Catalog. Service (workshop) Manual. Operator's Instruction Manual. 4150308 D20A-7 KOMATSU D20A-7 Buldozer "D-20" series. Spare Parts Catalog. Service (workshop) Manual. Operator's Instruction Manual. 4150309 D20A-8 KOMATSU D20A-8 Buldozer "D-20" series. Spare Parts Catalog. Service (workshop) Manual. Operator's Instruction Manual. 4150310 D20A-8E0 KOMATSU D20A-8E0 Buldozer "D-20" series. Spare Parts Catalog. Service (workshop) Manual. Operator's Instruction Manual. 4150311 D20AG-7 KOMATSU D20AG-7 Buldozer "D-20" series. Spare Parts Catalog. Service (workshop) Manual. Operator's Instruction Manual. 4150312 D20P-3 KOMATSU D20P-3 Buldozer "D-20" series. Spare Parts Catalog. Service (workshop) Manual. Operator's Instruction Manual. 4150313 D20P-5 KOMATSU D20P-5 Buldozer "D-20" series. Spare Parts Catalog. Service (workshop) Manual. Operator's Instruction Manual. 4150314 D20P-5A KOMATSU D20P-5A Buldozer "D-20" series. Spare Parts Catalog. Service (workshop) Manual. Operator's Instruction Manual. 4150315 D20P-6 KOMATSU D20P-6 Buldozer "D-20" series. Spare Parts Catalog. Service (workshop) Manual. Operator's Instruction Manual. 4150316 D20P-6A KOMATSU D20P-6A Buldozer "D-20" series. Spare Parts Catalog. Service (workshop) Manual. Operator's Instruction Manual. 4150317 D20P-7A KOMATSU D20P-7A Buldozer "D-20" series. Spare Parts Catalog. Service (workshop) Manual. Operator's Instruction Manual. 4150318 D20P-8 KOMATSU D20P-8 Buldozer "D-20" series. Spare Parts Catalog. Service (workshop) Manual. Operator's Instruction Manual. 4150319 D20P-8E0 KOMATSU D20P-8E0 Buldozer "D-20" series. Spare Parts Catalog. Service (workshop) Manual. Operator's Instruction Manual. 4150320 D20PG-7A KOMATSU D20PG-7A Buldozer "D-20" series. Spare Parts Catalog. Service (workshop) Manual. Operator's Instruction Manual. 4150321 D20PL-3 KOMATSU D20PL-3 Buldozer "D-20" series. Spare Parts Catalog. Service (workshop) Manual. Operator's Instruction Manual. 4150322 D20PL-5 KOMATSU D20PL-5 Buldozer "D-20" series. Spare Parts Catalog. Service (workshop) Manual. Operator's Instruction Manual. 4150323 D20PL-6 KOMATSU D20PL-6 Buldozer "D-20" series. Spare Parts Catalog. Service (workshop) Manual. Operator's Instruction Manual. 4150324 D20PL-7 KOMATSU D20PL-7 Buldozer "D-20" series. Spare Parts Catalog. Service (workshop) Manual. Operator's Instruction Manual. 4150325 D20PL-8 KOMATSU D20PL-8 Buldozer "D-20" series. Spare Parts Catalog. Service (workshop) Manual. Operator's Instruction Manual. 4150326 D20PL-8E0 KOMATSU D20PL-8E0 Buldozer "D-20" series. Spare Parts Catalog. Service (workshop) Manual. Operator's Instruction Manual. 4150327 D20PLL-5 KOMATSU D20PLL-5 Buldozer "D-20" series. Spare Parts Catalog. Service (workshop) Manual. Operator's Instruction Manual. 4150328 D20PLL-6 KOMATSU D20PLL-6 Buldozer "D-20" series. Spare Parts Catalog. Service (workshop) Manual. Operator's Instruction Manual. 4150329 D20PLL-7 KOMATSU D20PLL-7 Buldozer "D-20" series. Spare Parts Catalog. Service (workshop) Manual. Operator's Instruction Manual. 4150330 D20PLL-8 KOMATSU D20PLL-8 Buldozer "D-20" series. Spare Parts Catalog. Service (workshop) Manual. Operator's Instruction Manual. 4150331 D20PLL-8E0 KOMATSU D20PLL-8E0 Buldozer "D-20" series. Spare Parts Catalog. Service (workshop) Manual. Operator's Instruction Manual. 4150332 D20Q-6 KOMATSU D20Q-6 Buldozer "D-20" series. Spare Parts Catalog. Service (workshop) Manual. Operator's Instruction Manual. 4150334 D21A-3 KOMATSU D21A-3 Buldozer "D-21" series. Spare Parts Catalog. Service (workshop) Manual. Operator's Instruction Manual. 4150335 D21A-5 KOMATSU D21A-5 Buldozer "D-21" series. Spare Parts Catalog. Service (workshop) Manual. Operator's Instruction Manual. 4150336 D21A-6 KOMATSU D21A-6 Buldozer "D-21" series. Spare Parts Catalog. Service (workshop) Manual. Operator's Instruction Manual. 4150337 D21A-7 KOMATSU D21A-7 Buldozer "D-21" series. Spare Parts Catalog. Service (workshop) Manual. Operator's Instruction Manual. 4150338 D21A-7T KOMATSU D21A-7T Buldozer "D-21" series. Spare Parts Catalog. Service (workshop) Manual. Operator's Instruction Manual. 4150339 D21A-8 KOMATSU D21A-8 Buldozer "D-21" series. Spare Parts Catalog. Service (workshop) Manual. Operator's Instruction Manual. 4150340 D21A-8E0 KOMATSU D21A-8E0 Buldozer "D-21" series. Spare Parts Catalog. Service (workshop) Manual. Operator's Instruction Manual. 4150341 D21AG-7 KOMATSU D21AG-7 Buldozer "D-21" series. Spare Parts Catalog. Service (workshop) Manual. Operator's Instruction Manual. 4150342 D21E-6 KOMATSU D21E-6 Buldozer "D-21" series. Spare Parts Catalog. Service (workshop) Manual. Operator's Instruction Manual. 4150343 D21P-5 KOMATSU D21P-5 Buldozer "D-21" series. Spare Parts Catalog. Service (workshop) Manual. Operator's Instruction Manual. 4150344 D21P-5A KOMATSU D21P-5A Buldozer "D-21" series. Spare Parts Catalog. Service (workshop) Manual. Operator's Instruction Manual. 4150345 D21P-6 KOMATSU D21P-6 Buldozer "D-21" series. Spare Parts Catalog. Service (workshop) Manual. Operator's Instruction Manual. 4150346 D21P-6A KOMATSU D21P-6A Buldozer "D-21" series. Spare Parts Catalog. Service (workshop) Manual. Operator's Instruction Manual. 4150347 D21P-6B KOMATSU D21P-6B Buldozer "D-21" series. Spare Parts Catalog. Service (workshop) Manual. Operator's Instruction Manual. 4150348 D21P-7A KOMATSU D21P-7A Buldozer "D-21" series. Spare Parts Catalog. Service (workshop) Manual. Operator's Instruction Manual. 4150349 D21P-7T KOMATSU D21P-7T Buldozer "D-21" series. Spare Parts Catalog. Service (workshop) Manual. Operator's Instruction Manual. 4150350 D21P-8 KOMATSU D21P-8 Buldozer "D-21" series. Spare Parts Catalog. Service (workshop) Manual. Operator's Instruction Manual. 4150351 D21P-8E0 KOMATSU D21P-8E0 Buldozer "D-21" series. Spare Parts Catalog. Service (workshop) Manual. Operator's Instruction Manual. 4150352 D21P-8T KOMATSU D21P-8T Buldozer "D-21" series. Spare Parts Catalog. Service (workshop) Manual. Operator's Instruction Manual. 4150353 D21PG-7A KOMATSU D21PG-7A Buldozer "D-21" series. Spare Parts Catalog. Service (workshop) Manual. Operator's Instruction Manual. 4150354 D21PL-5 KOMATSU D21PL-5 Buldozer "D-21" series. Spare Parts Catalog. Service (workshop) Manual. Operator's Instruction Manual. 4150355 D21PL-6 KOMATSU D21PL-6 Buldozer "D-21" series. Spare Parts Catalog. Service (workshop) Manual. Operator's Instruction Manual. 4150356 D21PL-7 KOMATSU D21PL-7 Buldozer "D-21" series. Spare Parts Catalog. Service (workshop) Manual. Operator's Instruction Manual. 4150357 D21PL-8 KOMATSU D21PL-8 Buldozer "D-21" series. Spare Parts Catalog. Service (workshop) Manual. Operator's Instruction Manual. 4150358 D21PL-8E0 KOMATSU D21PL-8E0 Buldozer "D-21" series. Spare Parts Catalog. Service (workshop) Manual. Operator's Instruction Manual. 4150359 D21QG-6 KOMATSU D21QG-6 Buldozer "D-21" series. Spare Parts Catalog. Service (workshop) Manual. Operator's Instruction Manual. 4150360 D21QG-7 KOMATSU D21QG-7 Buldozer "D-21" series. Spare Parts Catalog. Service (workshop) Manual. Operator's Instruction Manual. 4150361 D21S-7 KOMATSU D21S-7 Buldozer "D-21" series. Spare Parts Catalog. Service (workshop) Manual. Operator's Instruction Manual. 4150363 D30AM-17 KOMATSU D30AM-17 Buldozer "D-30" series. Spare Parts Catalog. Service (workshop) Manual. Operator's Instruction Manual. 4150365 D31A-16 KOMATSU D31A-16 Buldozer "D-31" series. Spare Parts Catalog. Service (workshop) Manual. Operator's Instruction Manual. 4150366 D31A-17 KOMATSU D31A-17 Buldozer "D-31" series. Spare Parts Catalog. Service (workshop) Manual. Operator's Instruction Manual. 4150367 D31A-18 KOMATSU D31A-18 Buldozer "D-31" series. Spare Parts Catalog. Service (workshop) Manual. Operator's Instruction Manual. 4150368 D31A-20 KOMATSU D31A-20 Buldozer "D-31" series. Spare Parts Catalog. Service (workshop) Manual. Operator's Instruction Manual. 4150369 D31E-17 KOMATSU D31E-17 Buldozer "D-31" series. Spare Parts Catalog. Service (workshop) Manual. Operator's Instruction Manual. 4150370 D31E-18 KOMATSU D31E-18 Buldozer "D-31" series. Spare Parts Catalog. Service (workshop) Manual. Operator's Instruction Manual. 4150371 D31E-20 KOMATSU D31E-20 Buldozer "D-31" series. Spare Parts Catalog. Service (workshop) Manual. Operator's Instruction Manual. 4150372 D31EX-21 KOMATSU D31EX-21 Buldozer "D-31" series. Spare Parts Catalog. Service (workshop) Manual. Operator's Instruction Manual. 4150373 D31EX-21 Galeo KOMATSU D31EX-21 Galeo Buldozer "D-31" series. Spare Parts Catalog. Service (workshop) Manual. Operator's Instruction Manual. 4150374 D31EX-21A KOMATSU D31EX-21A Buldozer "D-31" series. Spare Parts Catalog. Service (workshop) Manual. Operator's Instruction Manual. 4150375 D31EX-22 KOMATSU D31EX-22 Buldozer "D-31" series. Spare Parts Catalog. Service (workshop) Manual. Operator's Instruction Manual. 4150376 D31P-16 KOMATSU D31P-16 Buldozer "D-31" series. Spare Parts Catalog. Service (workshop) Manual. Operator's Instruction Manual. 4150377 D31P-17 KOMATSU D31P-17 Buldozer "D-31" series. Spare Parts Catalog. Service (workshop) Manual. Operator's Instruction Manual. 4150378 D31P-18 KOMATSU D31P-18 Buldozer "D-31" series. Spare Parts Catalog. Service (workshop) Manual. Operator's Instruction Manual. 4150379 D31P-18A KOMATSU D31P-18A Buldozer "D-31" series. Spare Parts Catalog. Service (workshop) Manual. Operator's Instruction Manual. 4150380 D31P-20 KOMATSU D31P-20 Buldozer "D-31" series. Spare Parts Catalog. Service (workshop) Manual. Operator's Instruction Manual. 4150381 D31P-20A KOMATSU D31P-20A Buldozer "D-31" series. Spare Parts Catalog. Service (workshop) Manual. Operator's Instruction Manual. 4150382 D31PG-18A KOMATSU D31PG-18A Buldozer "D-31" series. Spare Parts Catalog. Service (workshop) Manual. Operator's Instruction Manual. 4150383 D31PG-20A KOMATSU D31PG-20A Buldozer "D-31" series. Spare Parts Catalog. Service (workshop) Manual. Operator's Instruction Manual. 4150384 D31PL-16 KOMATSU D31PL-16 Buldozer "D-31" series. Spare Parts Catalog. Service (workshop) Manual. Operator's Instruction Manual. 4150385 D31PL-17 KOMATSU D31PL-17 Buldozer "D-31" series. Spare Parts Catalog. Service (workshop) Manual. Operator's Instruction Manual. 4150386 D31PL-18 KOMATSU D31PL-18 Buldozer "D-31" series. Spare Parts Catalog. Service (workshop) Manual. Operator's Instruction Manual. 4150387 D31PL-20 KOMATSU D31PL-20 Buldozer "D-31" series. Spare Parts Catalog. Service (workshop) Manual. Operator's Instruction Manual. 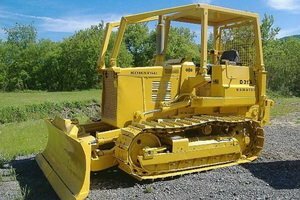 4150388 D31PLL-17 KOMATSU D31PLL-17 Buldozer "D-31" series. Spare Parts Catalog. Service (workshop) Manual. Operator's Instruction Manual. 4150389 D31PLL-18 KOMATSU D31PLL-18 Buldozer "D-31" series. Spare Parts Catalog. Service (workshop) Manual. Operator's Instruction Manual. 4150390 D31PLL-20 KOMATSU D31PLL-20 Buldozer "D-31" series. Spare Parts Catalog. Service (workshop) Manual. Operator's Instruction Manual. 4150391 D31PLL-21 KOMATSU D31PLL-21 Buldozer "D-31" series. Spare Parts Catalog. Service (workshop) Manual. Operator's Instruction Manual. 4150392 D31PX-21 KOMATSU D31PX-21 Buldozer "D-31" series. Spare Parts Catalog. Service (workshop) Manual. Operator's Instruction Manual. 4150393 D31PX-21A KOMATSU D31PX-21A Buldozer "D-31" series. Spare Parts Catalog. Service (workshop) Manual. Operator's Instruction Manual. 4150394 D31PX-22 KOMATSU D31PX-22 Buldozer "D-31" series. Spare Parts Catalog. Service (workshop) Manual. Operator's Instruction Manual. 4150395 D31PX-22M0 KOMATSU D31PX-22M0 Buldozer "D-31" series. Spare Parts Catalog. Service (workshop) Manual. Operator's Instruction Manual. 4150396 D31Q-17 KOMATSU D31Q-17 Buldozer "D-31" series. Spare Parts Catalog. Service (workshop) Manual. Operator's Instruction Manual. 4150397 D31Q-18 KOMATSU D31Q-18 Buldozer "D-31" series. Spare Parts Catalog. Service (workshop) Manual. Operator's Instruction Manual. 4150398 D31Q-20 KOMATSU D31Q-20 Buldozer "D-31" series. Spare Parts Catalog. Service (workshop) Manual. Operator's Instruction Manual. 4150399 D31S-17 KOMATSU D31S-17 Buldozer "D-31" series. Spare Parts Catalog. Service (workshop) Manual. Operator's Instruction Manual. 4150400 D31S-18 KOMATSU D31S-18 Buldozer "D-31" series. Spare Parts Catalog. Service (workshop) Manual. Operator's Instruction Manual. 4150401 D31S-20 KOMATSU D31S-20 Buldozer "D-31" series. Spare Parts Catalog. Service (workshop) Manual. Operator's Instruction Manual.